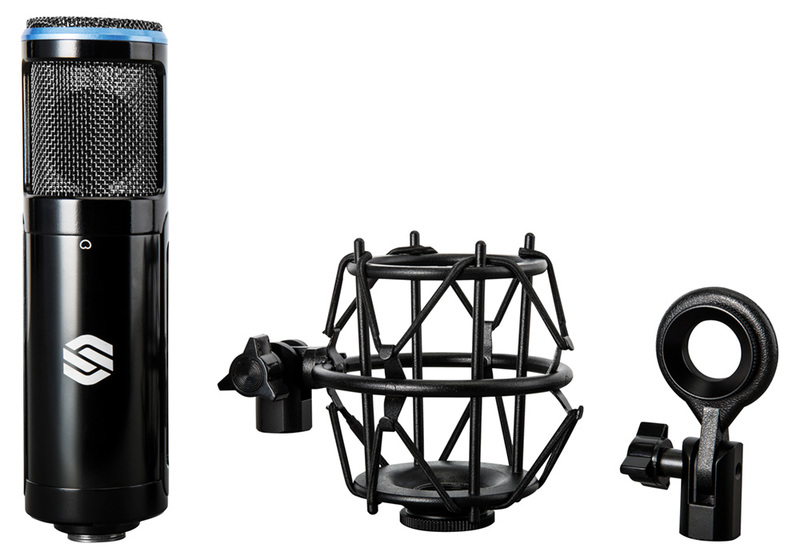 Thousand Oaks, CA – September 2018… Whether you’re launching a new project studio or expanding your microphone collection, the versatile new Sterling Audio SP150SMK Condenser Microphone and Shockmount Package is a great choice for your microphone arsenal. Capable of handling up to 136 dB SPL, the SP150 is a side-address, large-diaphragm mic with a low-noise, Class A FET capsule design and a cardioid polar pattern. Use it on guitars, drums, and amplifiers, as well as vocals and speech, for great results with all the sonic details. 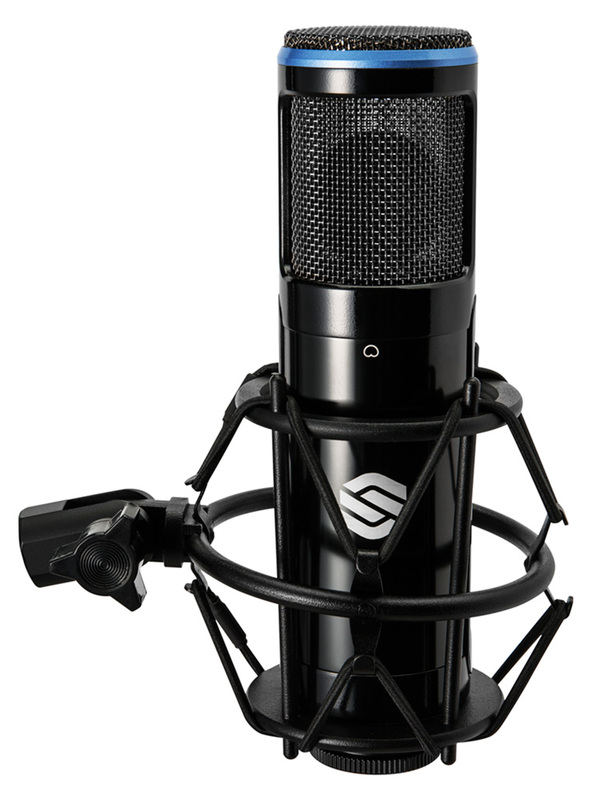 Sterling includes its high-quality SM4 spider-band shockmount, which isolates the mic from sub-sonic vibrations. You also get the company’s HM4 hard-mount for precise mic placement that larger mounts might prohibit, giving you the best of both worlds. A rugged, generously padded, custom case keeps the SP150 safe during transportation and storage. The Sterling SP150 stands 7.1 inches tall, with a 1.9-inch diameter and weighs just 1 lb. Frequency response is rated at 20 Hz to 20 kHz, with a sensitivity of 5 mV/Pa and equivalent input noise of <28 dB SPL. Like most condenser microphones, the SP150SMK requires +48 volt phantom power.